Volvo said its CEO, Stefan Jacoby, has no plans to leave the Swedish carmaker to head General Motors Co.'s struggling Opel division. Jacoby is the top candidate for the vacant CEO post at Opel, the Swedish business publication Dagens Industri said in a report published today. A Volvo spokesman told Automotive News Europe that Jacoby is "fully occupied" with his current job at Volvo and has no plans to leave. Opel was unavailable for comment. Last month, GM appointed Thomas Sedran as interim CEO at Opel to replace Karl-Friedrich Stracke, who stepped down from the post. 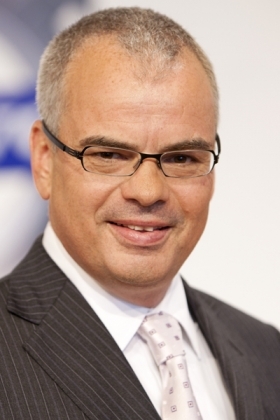 GM said Sedran, a former restructuring consultant with AlixPartners, would head Opel until a permanent CEO was found. GM is restructuring Opel to end losses at the Germany-based division. GM's European unit, which mainly comprises Opel and UK sister brand Vauxhall, lost $361 million in the second quarter.